The iconic petite twist knot dress in an updated sequin style for the new season. 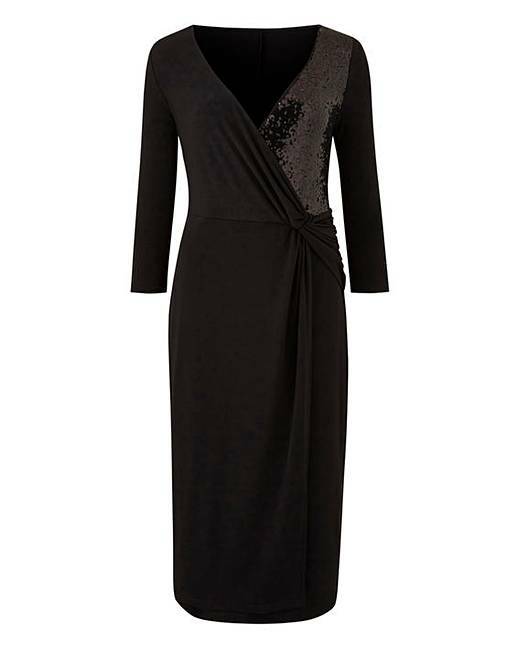 Cut to a figure flattering bodycon shape, this stunning dress features three-quarter-length sleeves for arm coverage, twist detail at the front, and sequin blocking for the party season. 95% Polyester, 5% Elastane. Sequin: Polyester. Mesh : Polyamide.